My fault! I miscounted. I always assume the first square or few are from previous month. My assumption drew wrong conclusion. 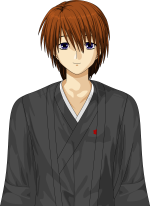 I think it's worth noting that Misha's birthday occurs before Shizune's route ends and nobody ever mentions it. Its because the Calendar of Events ends 30th of September and Misha birthday is November 1st. Misha is the interpreter for Shizune and a fellow member of the student council. Cheery, playful, and never one to pull a punch, she happily joins in Shizune's attempts to get Hisao onto the student council. The Japanese school year lasts from April to the next March. Shizune's route ends on graduation. You did not get my point, the calendar on the 1st post only goes to Sept. 30th. Yes there is more to Shizune's route and it does go to just before graduation but its not on the calendar in the 1st post. The calendar ends Sept. 30 with "The Summit" and these 3 Succession, Sneaking Mission and Infinity are not listed. Misha is a secondary NPC anyway but we still love her all the same. Your point is the calendar here stops before the game gets to her birthday. We could extend the calendar a few months more, and there would be no actual events on Misha's birthday. There is no scene in the game saying "We celebrated Misha's birthday!" The real point is, when you're cataloging the actual events of the game, Misha's birthday DOES fall into the time frame of her route (whether anybody wants to put it on a calendar or not) and it never gets mentioned by anybody. It comes and goes and nobody cares.